If you're a mom, dad, grandparent, aunt, uncle, or anyone else with little ones in your life you're going to love today's giveaway. In honor of Parents Day, July 24th, Sam's Club and IncrediBundles.com have teamed up for one awesome giveaway with 10 lucky winners! Sam's Club knows how challenging it can be to be a parent today and they are here to help. Sam's Club members can save time and money shopping for products and services you and your family need and want. In addition, they have their new Mom's & Dad's Club, an exclusive website where parents can learn and save, and also get access to exclusive content, offers, samples, and more. When you sign up to be a Sam's Club Mom's & Dad's Club Member you get product tips and suggestions based on your profile as a parent of an infant, toddler, preschooler, or elementary aged child and get great ideas on how to turn every day products into family fun. Mom's and Dad's Club members have special access to prizes, sweepstakes and giveaways too! Are you a mom or dad trying to keep your little one happy and busy this summer? Enter to win a Fun With Mom or Fun With Dad Bundle from IncrediBundles.com! IncrediBundles is the home of extraordinary baby gifts selected by experts. They make it easy to give the perfect baby gift! 10 lucky winners will win an amazing bundle including a premium diaper bag and a $100 gift card to IncrediBundles.com. Winners will choose between the premium DadGear Diaper Backpack or the sleek and versatile SkipHop Versa Diaper Bag. 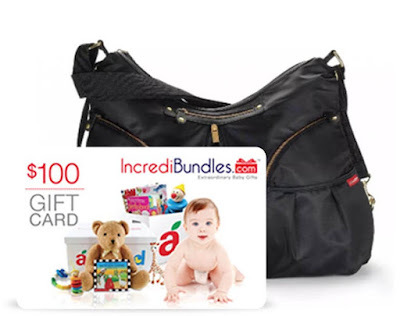 Each bag is bundled with a $100 gift card to IncrediBundles.com where you can shop their carefully curated selection of toys, books, and products for children of all ages. Enter the giveaway here! 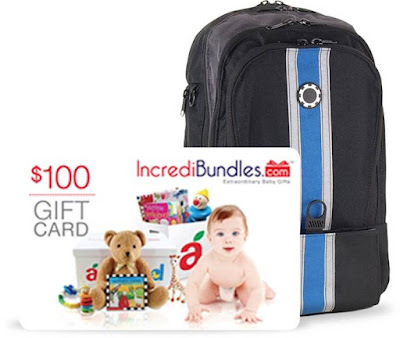 This amazing giveaway from Sam's Club and IncrediBundles.com looks like the perfect way to beat that summer boredom and find some amazing curated products for your little ones. Make sure to become a Sam's Club Mom's and Dad's Club Member today- it's free with your Sam's Club membership! And check out IncrediBundles.com for the perfect baby gift. Big thanks to Sam's Club & IncrediBundles.com for sponsoring this giveaway!